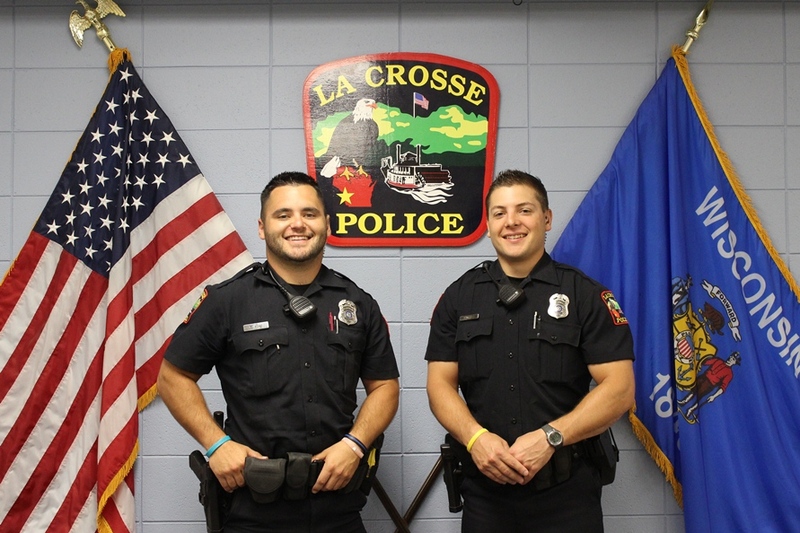 Chief Ron Tischer, along with the La Crosse Community Foundation, is pleased to announce the La Crosse Police Department’s two newest Neighborhood Resource Officers – Tyler Pond and Casey Kamps – who began their new assignments in the City’s Northside neighborhoods this week. With the help of a Federal Grant and unique public-private collaborations, the Neighborhood Resource Officer (NRO) positions were newly created for 2014. NROs are community policing officers assigned within a specific neighborhood, with the intent to develop close relationships with the citizens, organizations, and businesses in that neighborhood, all in a concentrated effort to reduce crime and quality-of-life issues. NROs Pond and Kamps will be uniquely available to address questions and proactively implement solutions to concerns that are specific to the Northside of La Crosse. NROs Pond and Kamps join previously-announced Washburn Neighborhood NROs Daniel Ulrich and Nathan Poke in this new community policing endeavor. For more information on the Neighborhood Resource Officers and their community interaction so far this year, click here for past NRO stories. Newly assigned Northside Neighborhood Response Officers Tyler Pond (left) and Casey Kamps (right).